This is Part 3 of 4 installments. Click here for the first post. Max gave me no reason to question his sincerity. I did as he told me, and canceled or rescheduled a whole day of appointments. That evening, I composed the Special Delivery letter to my Congressman as Max had instructed. Our doorbell rang promptly at 7:30. Max was at the door with his Cocker Spaniel. 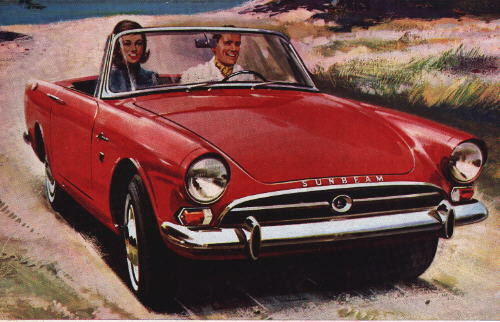 The three of us hauled into my Sunbeam Alpine two-seater, the dog breathing down my neck from the rear cargo space. 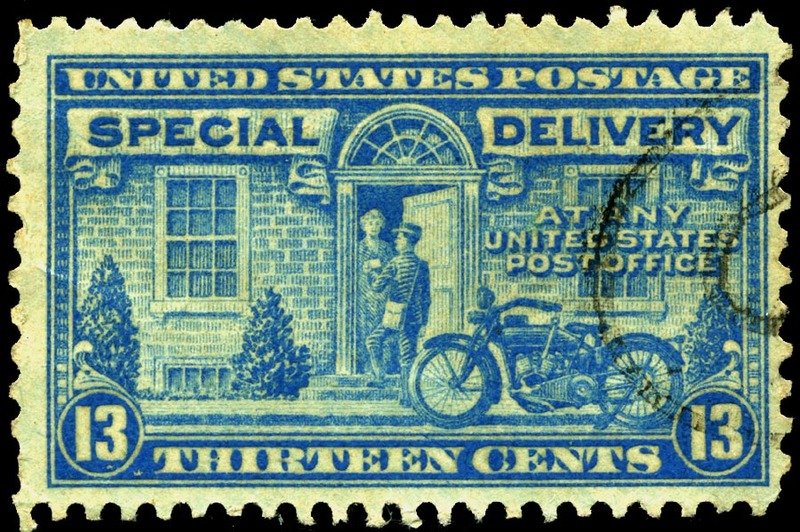 We arrived at Newark Airport in plenty of time to assure that the letter would be collected and delivered the next morning according to plan. On the way home, I expressed my gratitude. Max stated gravely and rather formally that I had been most kind to him and this was the least he could do in return. He went on to say that he had been personally enriched after he extended his hand to strangers in need, and he seemed to be saying that now it was my turn to benefit because of my kindness to him. In fact, Max said, it was a chance encounter with a stranger that resulted in “a most rewarding outcome.” He said that after World War II he was in the habit of spending the first part of the week in his New York office, and then taking a train to his Washington office on Thursday mornings. He was such a regular traveler that the porter on the dining car always recognized him and had a little table for one reserved for him, along with the morning paper and a cup of coffee. One morning, the porter told Max that there were more passengers than usual. Apologetically, he asked if he would mind sharing his table with another man. Max assented, and he found that his new table partner spoke very poor English. He had just come over from Greece, and was trying to close a business deal involving purchases from the US Government. Max told me he recognized how badly the man needed assistance, and devoted that entire day and many days thereafter helping him. This was the chance meeting that carried such a great reward. This is the second installment of 4 parts. Click here for Part 1. After I had applied for a commission into the Navy Medical Corps, Mary Lou found an alternative that I had never even considered, in one of the “throw-away” medical journals that cluttered our mailbox: “Options for your draft-eligible medical student son.” It described the Commissioned Corps of the US Public Health Service, the oldest but next-smallest of the seven Uniformed Services with some 6000 officers on active duty (The NOAA Corps is the smallest, and the Coast Guard the next larger– you know the other four!). I learned that USPHS served as the medical arm of the US Coast Guard. I had considered joining the Coast Guard Reserve back when I was in college, but quickly changed my mind after I attended my first drill and recognized one of the Petty Officers who gave us the orientation as someone who had recently dated Mary Lou— yuk! (I had only recently started paying attention to her, but that’s another story!). In addition to providing medical care to American Indians on reservations and American Seamen at port cities, and staffing the National Institutes of Health and the CDC (then called “Communicable Disease Control”), the USPHS also fielded teams of Epidemic Intelligence Service officers who were dispatched to investigate disease outbreaks all over the world, something that sounded very exciting to me. So, I completed an application for a PHS commission while still awaiting word from the Navy about appearing for a physical exam and negotiating a date for my call to duty. The telegram notifying me that I had been drafted into the Army arrived on the last Friday in January. I immediately called the Navy, and was told that they had an agreement with the Army that blocked anyone from being commissioned into the Navy after receiving an Army draft notice. After an anxious weekend, I called the PHS from my medical office on Monday morning and was put on a long hold. When the clerk returned to the line she said that she could not locate my application. The person who handled it was on leave and would be away for more than a week! After seeing my morning office patients, I headed back to the hospital. It had snowed overnight and the streets were freshly plowed. As I drove along Ridgewood Avenue in Glen Ridge, I encountered an unusual hitchhiker. He was a nicely dressed man in suit and tie and black overcoat, standing in the plowed part of the roadway in dress shoes, quite out of place. I stopped and asked if I could help him. He asked if I would be so kind as to drive him a couple of miles to Bloomfield Avenue, where he might catch a bus to the tubes in Hoboken that would take him to New York for a business appointment. Seems that his car was in the shop and the only cab in town was someplace far away. Since I had some time to spare, I offered to take him all the way down Belleville Pike to the train station. I recognized him as the man who sometimes walked his dog past our home. He told me his name was Max. After we exchanged pleasantries, I told him of the recent significant events in my life. He seemed shocked at the inefficiency of the government bureaucracy. He told me to write a description of my experience in a Special Delivery letter, addressed to my Congressman and stamped with the proper postage. He would come by my house at 7:30 that night and we would drive to Newark Airport to deposit the letter in a mail receptacle there. This would assure delivery of my letter to Rep. Pete Rodino’s desk tomorrow morning. I was to plan to fly to Washington DC on the first Eastern Airlines shuttle in the morning. It sounded crazy, but as he exited my car he reiterated the instructions, saying he would see me at 7:30 PM and to be sure to clear my schedule tomorrow. After a short stop at the hospital I got back to the office a little late and had a busy afternoon. One of my afternoon patients was Jack, with whom I shared my story of the hitchhiker. Jack was a prosperous businessman who owned the major cold storage facility at the Hudson River terminal of the Erie Railroad. He said that he was going to call one of our US Senators and ask his staff to provide me with any necessary assistance. It was an unbelievable set of experiences.